Springville Faculty Association, or SFA, are the more than one hundred highly qualified professionals that have chosen to dedicate their career to educating the children of the Springville, NY community. The association is an affiliate local of the New York State United Teachers, NYSUT. 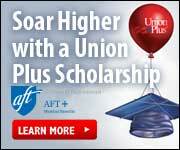 NYSUT is affiliated with the American Federation of Teachers, National Education Association and the AFL-CIO.